I don’t think I can describe just how beautiful Roja Haute Luxe is without it sounding like inane hyperbole, but it is one of those fragrances that feels like a privilege to try, a once-in-a-lifetime experience for most of us. I’d heard about it, descriptions that were usually accompanied with figurative gasps or literal raves, but I didn’t really believe them. Not really. 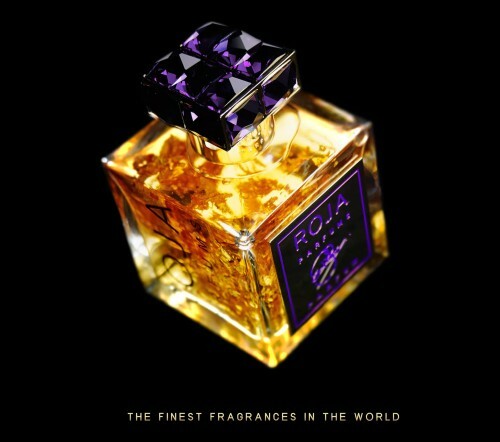 For one thing, Roja Dove’s other hugely acclaimed perfume, Diaghilev, while opulent and complex, had done little for me personally, never once moved me deeply, and never left me wishing I owned it. For another, I think it’s difficult to comprehend the sheer breadth and scope of Roja Haute Luxe’s extravagant magnificence until one tries it for oneself. It’s not the easiest scent to sample, but I had the opportunity when one of my readers, “Kevin,” asked me to review it last month and generously offered to send me some from his own bottle. After much hesitation, I agreed on the condition that he wouldn’t become personally offended or deeply outraged if I hated it. After all, “beauty” is in the eye (or nose) of the beholder, and could it really be that good? Well, as it turns out, Roja Haute Luxe really is that good. In fact, I thought it was exceptional, in the proper, full sense of that word.